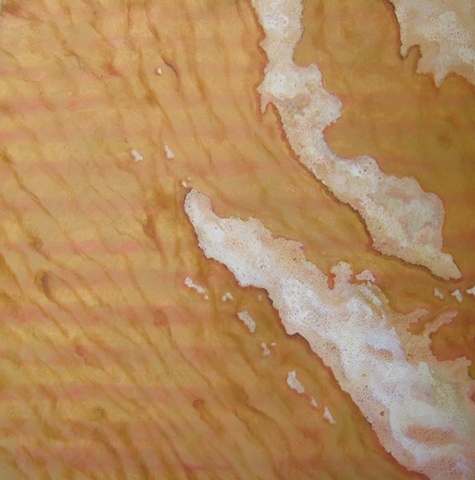 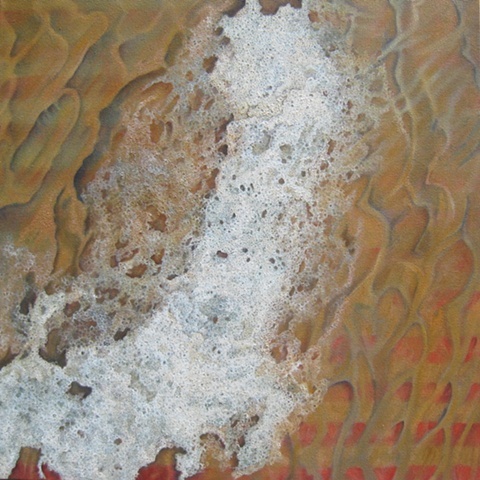 I have painted a series of canvases of sea foam in the shape of areas struck by tsunami. 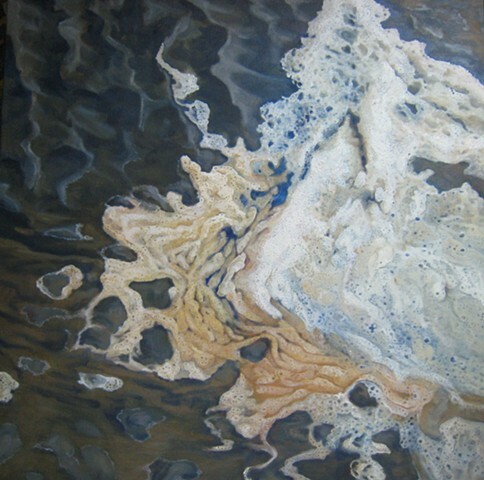 Sea foam is a result of sea turbulence and high concentrations of dissolved organic matter. 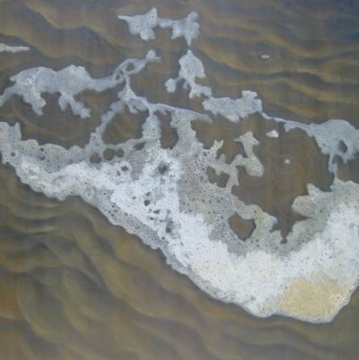 I memorialize those lost to the sea as foam-now one with its power.